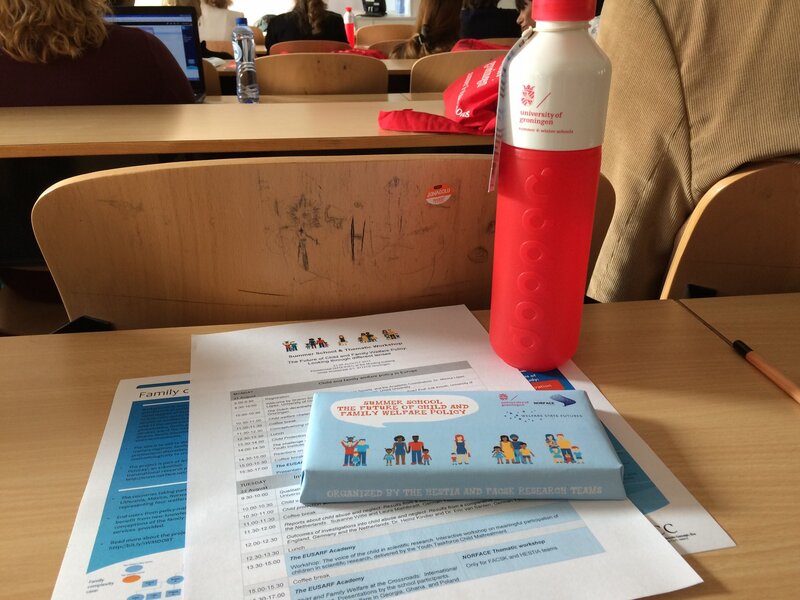 Info material provided by the summer school, including chocolate bars as a special give-away for participants. 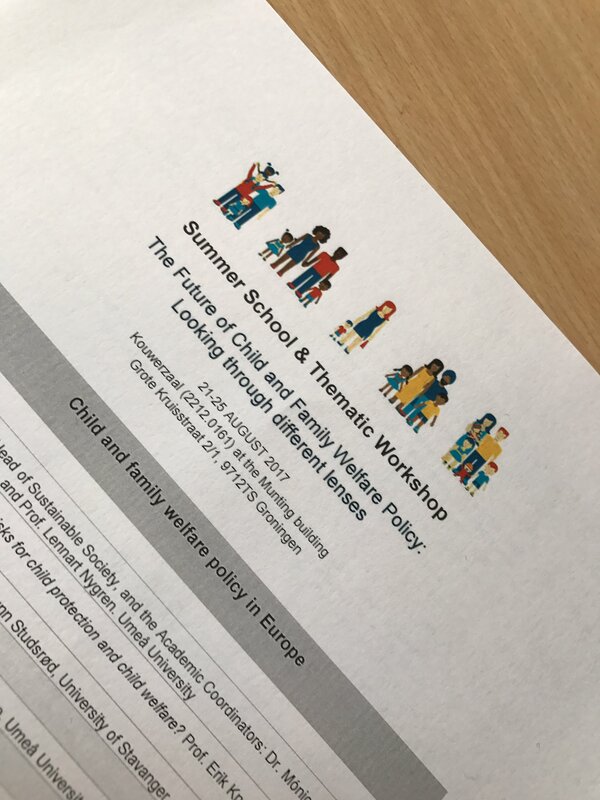 The first workshop day concerned with “Child and Family Welfare Policy in Europe” will be initiated with a welcome by the organizers Mónica López López (HESTIA) and Lennart Nygren (FACSK), followed by five case study presentations about child welfare in the Netherlands, Norway, Sweden, England and Germany by HESTIA and FACSK researchers. The day will be concluded by PhD presentations for EUSARF Academy participants and a seperate WSF Thematic Workshop session. 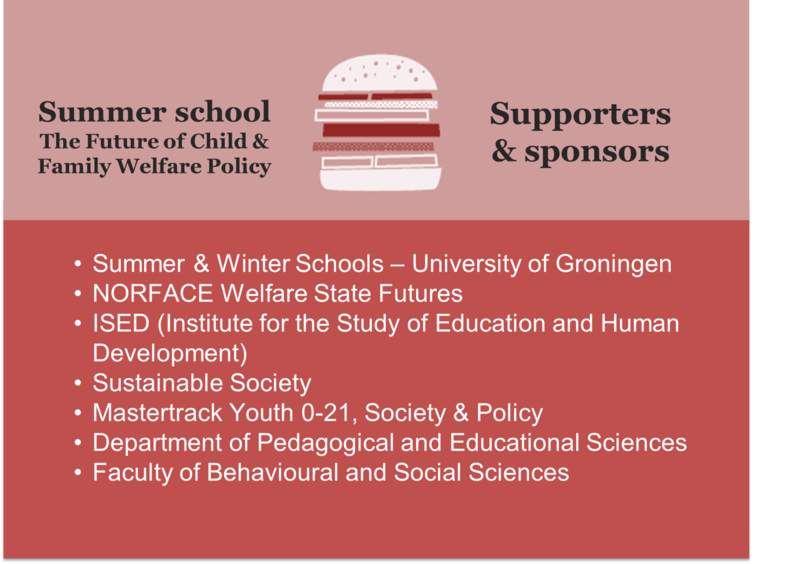 The following workshop days will each focus on a different aspect of child and family welfare policy, such as “International Comparisons of Child and Family Welfare Policy and Research” (Tuesday), “Voices of Children and Parents in Contact with Child Protection” (Wednesday), “Perspectives of Professionals Working in the Child Protection System” (Thursday), and “Professional Judgement and Decision-making in the Child Protection System” (Friday).